Lenbrook is an upscale, not-for-profit, continuing care retirement community that opened in 1983. Located in Buckhead, the most affluent area of Atlanta, Lenbrook quickly became a leader in a highly competitive market. In order to retain its leadership position, in 2006 the community decided to expand its services and residence options. It significantly increased indoor and outdoor amenities, added 142 new residences to its existing 223, added 16 assisted living residences and replaced its healthcare center with 60 private rooms. The expansion opened in December 2008 in the heart of the financial crisis: New residences went from 97% reserved to 75% by June 30, 2009. Existing occupancy was also declining due to high attrition levels and low sales. 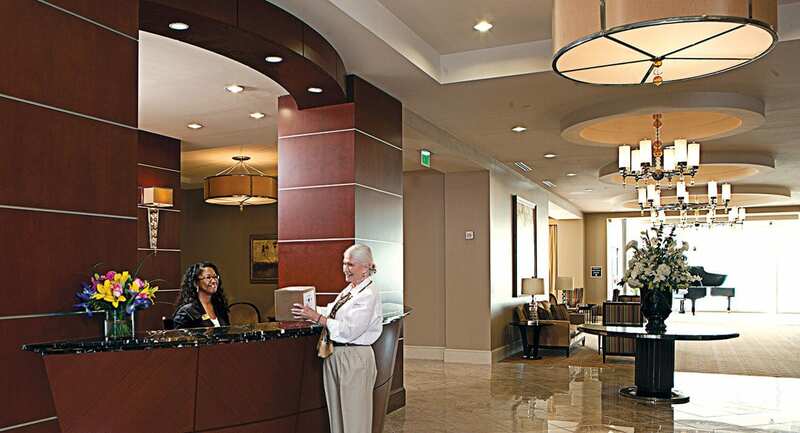 A highly regarded senior living sales and marketing firm had worked with Lenbrook throughout the expansion process and helped to generate 37 move-ins during fiscal 2011. 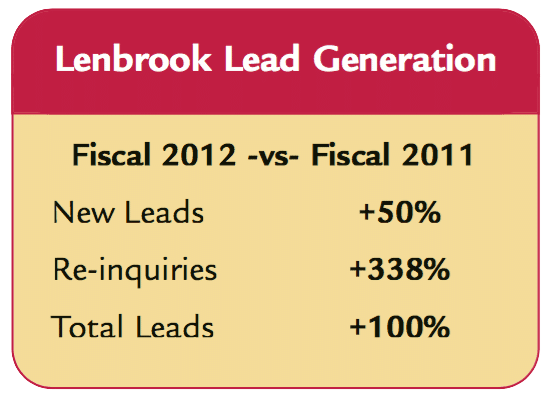 This was not enough to meet covenants or operating budgets, however, and Lenbrook hired a firm to conduct a comprehensive marketing and sales audit. The audit identified a diverse set of opportunities and recommendations, from marketing planning and positioning to sales training and sales analytics. Lenbrook then coordinated an extensive RFP process to find one or more marketing partners who could fully address these needs. In May of 2011, Lenbrook selected Love & Company to be that partner, in part because of our strong interdisciplinary skills, and in part because of additional ideas we brought to the table to build census. The first step in our work together was the development of a comprehensive month-by-month marketing and sales plan for the 2012 fiscal year. Love & Company led the development of the plan, including developing detailed projections for the number of leads, appointments and connected call outs that would be needed to achieve Lenbrook’s aggressive sales goals. 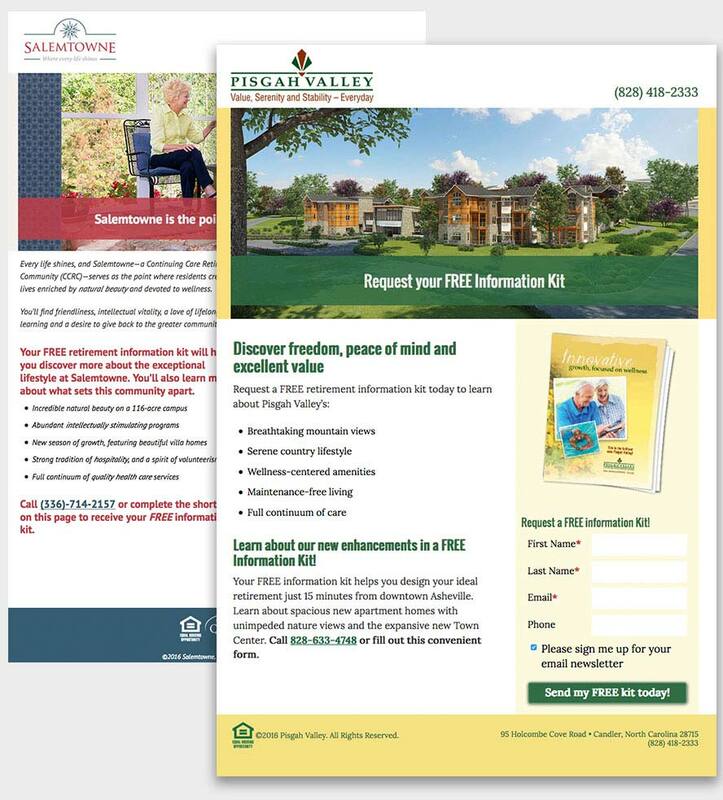 We rooted our marketing and sales plan in data gleaned from researching and analyzing Lenbrook’s lead base and sales history, allowing us to align direct mail, advertising, referrals, outreach, PR tools and online efforts to target the leads most likely to produce sales. In addition, we provided not only new tactics but also tracking tools that allowed for real-time adjustments to changing market conditions. We also implemented monthly review and quarterly planning processes where the Lenbrook and Love teams met for an extensive day of results analysis, strategy refinement and healthy debate on all issues related to sales. While at times intense, this give-and-take process pushed both organizations to strive for higher performance levels, thus maximizing results. Based on our market analysis, we developed a new strategy that moved Lenbrook away from an “elegant luxury” positioning to more of a “value” message that appealed to a broader prospect range. 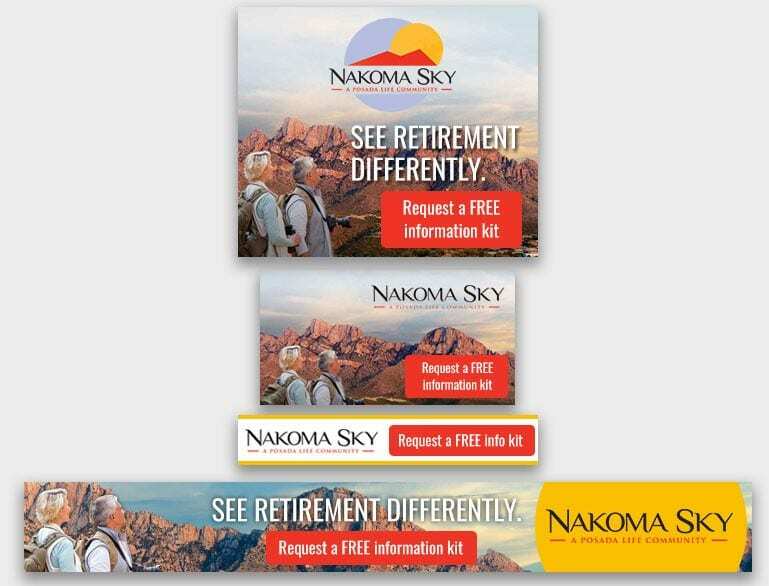 Following this new strategy, the Love team provided creative direction for ads, direct mail pieces and other campaign materials that Lenbrook’s local agency produced. 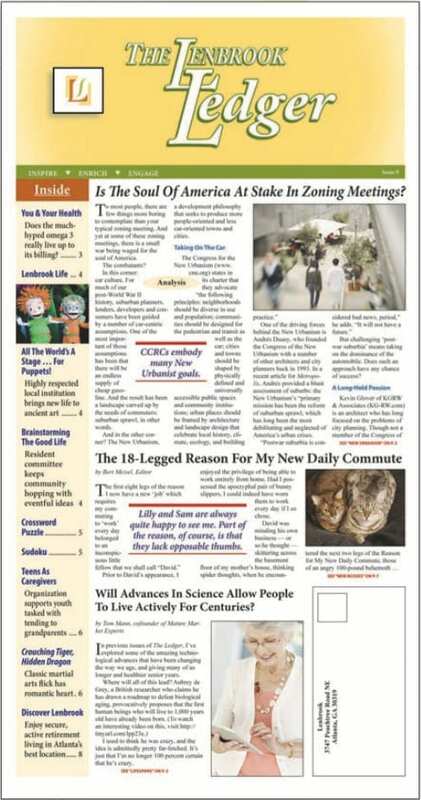 We also introduced The Lenbrook Ledger, a customized, branded, eight-page newspaper that was mailed to age- and income-qualified prospects in the target market area. This powerful marketing and PR tool provided the space required to tell Lenbrook’s impressive story: Selling a complex CCRC product, increasing awareness, generating leads and helping increase response rates to other campaigns. One of the major initiatives identified by the marketing audit was the need to enhance the sales process, with specific opportunities to more effectively use REPS. We worked closely with Lenbrook to “clean up” problem areas within its REPS coding protocols, trained the sales team to more effectively use REPS’s capabilities and generally improved data integrity. A Love & Company sales consultant spent extensive time on site throughout the year-long engagement, first providing individualized sales skills training to each member of the team, then serving as a sales mentor and coach, helping to develop strategies to respond to the unique needs and challenges of specific prospects. We trained the sales team on the importance of keeping and utilizing detailed notes in REPS to allow for these individualized strategies. To help the management team focus capital expenditures effectively, and to help the operations team maintain show-ready apartments at a higher level, we worked with Lenbrook to develop a smaller inventory of truly show-ready apartments. This enabled the sales team to choose from carefully selected apartments that illustrated the full array of floor plans and were always clean, well-appointed and open. With a cleaned up REPS system in place—and with management and other stake- holders’ renewed confidence in the information coming out of REPS—Love & Company led the development of a unique reporting tool that provided management with a clear and timely summary of all relevant sales and marketing activities, results and performance ratios. This real-time data enabled the Lenbrook and Love teams to respond quickly to trends, challenges and opportunities. After a year of targeting individuals most likely to buy with a message and creative approach most likely to persuade—and enhancing the sales team and sales process—the results were significant. Lead generation doubled over the previous year. Move-ins increased from 37 in fiscal 2011 to 50 in fiscal 2012. This generated more than $5 million in additional entrance fees over what Lenbrook would have realized if sales had remained flat. The 50 move-ins also generated a $600,000 increase in annualized monthly service fees over what would have been realized from only 37 move-ins. When faced with challenges, Lenbrook’s management team proactively took them head on, engaging resources to objectively assess where the team stood and what it needed to do. And Love & Company was there, with our interdisciplinary team bringing the right marketing, positioning, sales and analytical skills to the table at the right time to get the job done. Are you having census challenges or is your expansion struggling? Do your sales people have the tools and training to make the most of your leads in this tough selling environment? Or are you planning an expansion or new community and want to be sure sales perform well from the start? Love & Company is successful in combining our full range of resources— marketing, lead generation and sales—to produce cost-effective results. We get the right prospects in front of sales teams, and we help them close more sales. Please contact Love & Company if your marketing results need a boost. When the economic downturn slowed the fill-up of an ambitious expansion by one of the country’s premier CCRCs, management needed an experienced, multi-faceted partner to drive a bold new approach to marketing and sales. In just one year with Love & Company, lead generation doubled and new resident contracts were $5 million ahead of the previous year. Love & Company introduced a customized, branded newspaper that was mailed to age- and income-qualified prospects in the target market area. Through research-based, results-driven marketing strategies and effective repositioning, lead generation for Lenbrook doubled over the previous year.